Services Solid-State Drive Recovery Failed SSDs: Is Data Recovery Possible? Failed SSDs: Is Data Recovery Possible? At TTR Data Recovery we use specialized tools to diagnose and recover files from all types of damaged Solid-State Drive, including firmware failure. Dealing With Failed SSDs: Is Data Recovery Possible? You’ve finally migrated your storage media to SSD, and you’re perfectly content to enjoy their heightened access speeds and increased reliability. No technology is perfect, however, and after hours of seemingly flawless operation, one of your SSDs went out in a spectacular blaze of glory. Now the only question is if and how you can recover the data it contained. Failed SSDs may be completely distinct from dead hard drives, but in the careful hands of a SSD data recovery service professionals, their contents can be extracted. Here are some insights on how. How Do SSDs Fail – What Are The Common Issues? You’ve done your best to keep your SSDs in peak operating condition, so what went wrong? Flash memory devices like these can go bad for many reasons, but the most common culprits involve electronic or firmware failures. Electronic SSD failures generally occur when individual components in the circuits that comprise these drives die because of old age or other reasons. 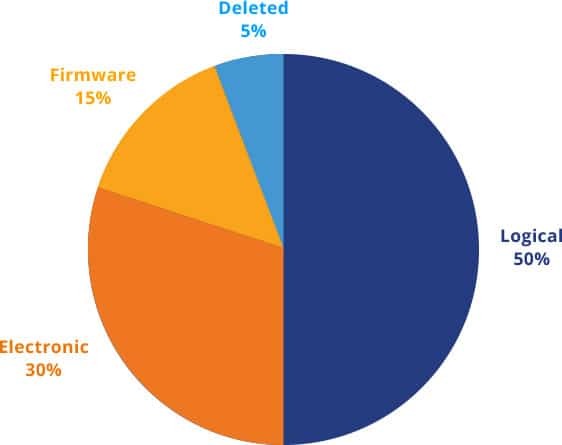 For instance, usage history can significantly impact a device’s practical lifetime. Unprotected hardware that’s exposed to power surges or supply line instabilities may expire prematurely. In other cases, your fluke failure could simply lie within the slim margin of error associated with the hardware manufacturer’s quality controls. Another less prevalent type of failure involves firmware, which is the low-level control software that normally lets your SSD operate. Simply put, when firmware gets corrupted, the SSD’s brains don’t know how to access their memories properly. Firmware failures may occur during updates that get interrupted. Some are related to electronic failures within the controller hardware that usually houses and executes the firmware instructions. Software bugs can also be to blame. The unique nature of different failure modes means that most cases require custom recovery solutions. An electronic failure that cripples a drive’s power circuitry might be fixable by swapping the affected parts out with fresh components. SSDs with bad firmware may have to be reprogrammed using low-level chip controllers and lab-grade electrical tools that can speak assembly language. Unfortunately for users, most SSD failures are hard to diagnose. Without specialized hardware and a thorough understanding of a particular device’s manufacturing standards, you’ll be hard-pressed to determine what kind of failure mode you’re dealing with. Different failures can exhibit very similar symptoms, such as not being able to power a drive on, access files or recognize the device as usual. The other major hurdle for would-be DIY data recoverers is the need for exacting repair precision. For instance, a small static charge from your finger might do serious permanent damage to the millions of transistors that make up flash memory cells. Introducing dirt or debris into an open SSD case or accidentally shorting out circuit leads could irrevocably destroy your data. Your best hope of successfully salvaging your files lies in working with a recovery expert. By using approved clean rooms and techniques, these companies minimize the chances that environmental factors or human errors might compromise your drive. Effective recovery services also maintain fastidious quality standards to restore your information rapidly without endangering its security or integrity. Talk to a TTR Data Recovery expert about your failed SSD now. True, these devices represent complex technology that may be beyond what you can repair. As our experience demonstrates, however, we’ve got precisely what it takes to make the recovery process straightforward so that you can get back to enjoying solid state speed and convenience. 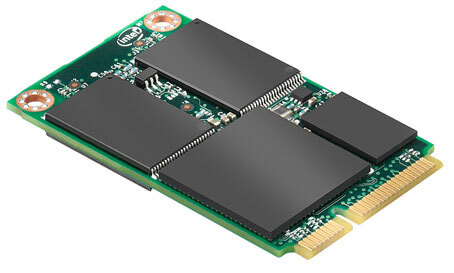 Related Article: What’s Next After Solid State Drive?